Sep 6, 2016 – TORRANCE, Calif.
Acura is introducing its 2017 MDX flagship luxury sport utility vehicle through an integrated marketing campaign launching today, highlighting the vehicle’s bold exterior design and premium features, including the new “Anthem” spot: http://acura.us/MDXAnthem, set to Beck’s kaleidoscopic psych-hip hop anthem, “Wow.” The campaign tells multiple stories of how the new MDX is “Designed to Wow” and will feature numerous consumer touch points with a focus on high-profile video, custom digital and targeted TV advertising. 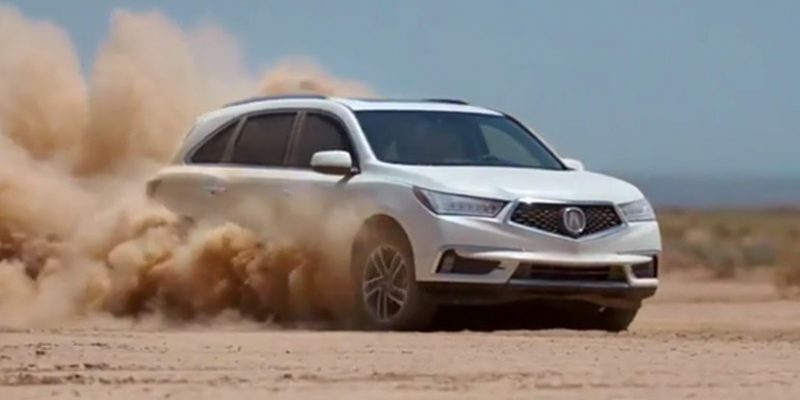 The “Focus” spot (http://acura.us/MDXFocus) incorporates one of the MDX’s most important standard safety features – AcuraWatch™ – into the film with a moving representation of the benefits of the SUV’s Collision Mitigation Braking System in an everyday driving scenario involving a father and son. The new MDX features the AcuraWatch™ suite of advanced safety and driver-assistive technologies as standard equipment on all grades.